Our Christmas Grotto is open! Come and meet Santa at our Christmas Grotto open on Mons Square from Saturday 1st of December - 23rd of December every Thursday - Sunday. 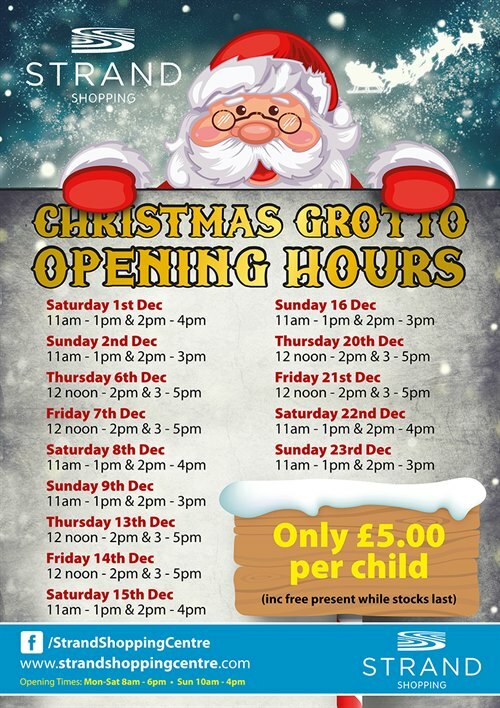 This year we have built a great new grotto, gone are long ques and lengthy waits simply come along and get a ticket for the grotto do some shopping and come back at your allocated time, we have a twinkling polar landscape and a lovely santas cabin for your children to meet the big man in! Entry is £5 per child which includes a gift from santa with the option to purchase a photo from £2.50 per photograph, adults enter for free. Please see attached for opening hours!